Even as the Kolkata Police Commissioner Rajeev Kumar left for Shillong to depose before the CBI on Saturday after being served notice by the agency, the CBI stepped on the gas in its probe into the Narada payoffs case, summoning the Investigating Officer (IO) in the case, Ranjit Kumar, to Delhi. A source close to the Central agency, however, said since the Narada scam was being probed by the CVU, the IO’s being summoned by the newly-appointed CBI director, Mr Rishi Kumar Shukla, was “nothing new”. Earlier on Friday, Police Commissioner Rajeev Kumar, along with two senior officers, additional commissioner (Head Quarters) Mr Javed Shamim and DC, STF (Special Task Force) Mr Murlidhar Sharma left for Shillong to face questioning on Saturday. According to reports, Kumar was also accompanied by another West Bengal cadre IPS officers and his younger brother. They reached the state capital of Meghalaya in the evening via Guwahati by road. While senior officers at Lalbazar were not forthcoming on why the two senior officers, Mr Shamim and Mr Sharma, had accompanied the police chief to Shillong, an officer said since they were IPS officers and had enough experience in dealing with corruption cases, Kumar might have thought it prudent to take the duo along with him. Meanwhile, a ten-member CBI team, led by joint director Pankaj Srivastva along with officers in the ranks of SP, ASP and DSP drawn from different states, has been formed and it left for Delhi on Friday. In the Narada case, in which the agency was battling allegations of losing steam as it is still to file chargesheets against 13 accused named in the FIR, the CBI director’s summoning of the Investigating Officer in the case, Ranjit Kumar to the headquarters is seek as a move to put the probe on the fast track. Earlier in August 2018, the CBI had sought three months time in Calcutta High Court to complete the probe in the Narada scam. Meanwhile, the Trinamool Congress staged a dharna on Friday near the CGO complex in Salt Lake, where the CBI’s Kolkata office is located, in protest against the agency’s alleged attempts to harass the state government in the Saradha and Narada cases. 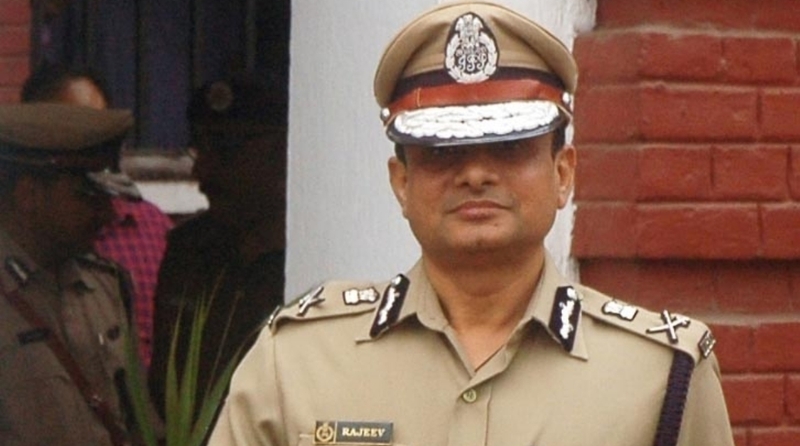 High drama was witnessed on Sunday, 3 February when a team of CBI went to question Kumar at his residence in Kolkata in connection with the Saradha and Rose Valley chit fund cases, and was allegedly roughed up and detained. Following the CBI-police face-off, West Bengal Chief Minister Mamata Banerjee went on a hunger strike for over 45 hours. Hearing the matter on Tuesday, the Supreme Court directed Rajeev Kumar the Kolkata Police Commissioner to join the CBI probe at a neutral place — in Meghalaya’s capital Shillong.